RRCA is always in need of new Foster Homes! You can make a difference by fostering. The number of dogs we can save is dependent on having a place for them to stay until we can find them a loving forever home. If you are interested in becoming a Foster Home for RRCA, please complete our foster application here. We at RRCA are all volunteers with jobs and families, but someone will contact you as soon as possible, usually within 48 hours regarding your application. Fostering is the first step in giving a rescued Jack a second chance. For many Jacks, the process of being kept in a stressful shelter is very traumatic. While in a foster home, these dogs have a chance to feel safe, secure, and loved which will help prepare them for their new forever family. 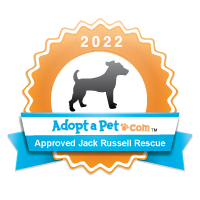 RRCA rescues the Jacks that are in the greatest danger of being euthanized at shelters or Owner Surrendered Jacks that we fear will find themselves at a shelter. Fostering a dog can be anywhere from a week to a year with the average time being about six weeks. You will need to commit to fostering that dog until they are adopted as we prefer not to put the dogs we rescue into a boarding facility nor do we have open Foster Homes to place them in. Moving a newly rescued dog around is often stressful for that dog. Once your foster dog is adopted, we will ask you if you want to foster another dog. If so, you will have another rescued dog to foster usually within a few days. If you need a bit of a break in between foster dogs we are more than willing to accommodate you. 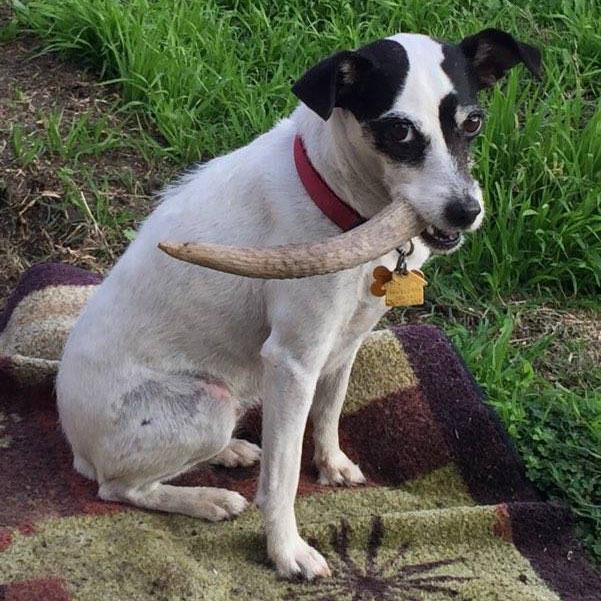 When RRCA rescues a Jack from a shelter we don’t know what their personalities are, or any issues they may have. We do basic temperament testing, but Foster Homes need to be prepared to work on any issues the dog may have. Examples of issues may be scared, doesn’t like men, may not like children, doesn’t like cats, barks, doesn’t know how to walk on a leash, has lots of energy, and may not get along with your own dogs. Some of them might have "kennel cough" (if your own pets are current on vaccinations this shouldn’t be a problem). In addition to paying for all veterinary care, and behavior training for your foster dog as needed, we have a network of knowledgeable and experienced people willing to help you and your foster dog with any issues that may arise. Being a Foster Home can sound it like it’s a lot of work, and it can be. However, quite often fostering is simply taking in a rescued Jack and treating them as your own. It can be emotional when your foster Jack is adopted, but remember that because you opened your heart and home to this dog, you saved their life. Sadly another life needs to be rescued. We are looking for patient, caring, dedicated people who can open their heart and home to a Jack in need. If you feel you can provide this you’re probably just who we are looking for!